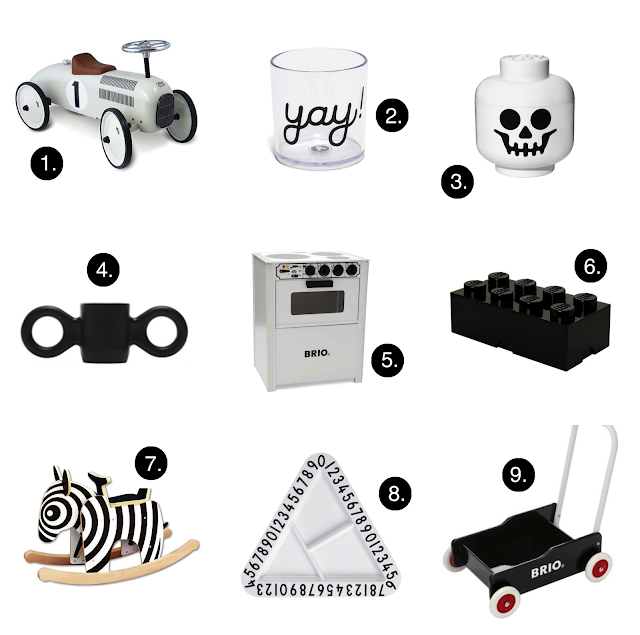 If you follow me over on Instagram I think it's pretty obvious that I am a monochrome addict! My love for monochrome started when I was a teenager and decorated my room black and white and painted my furniture doors black. 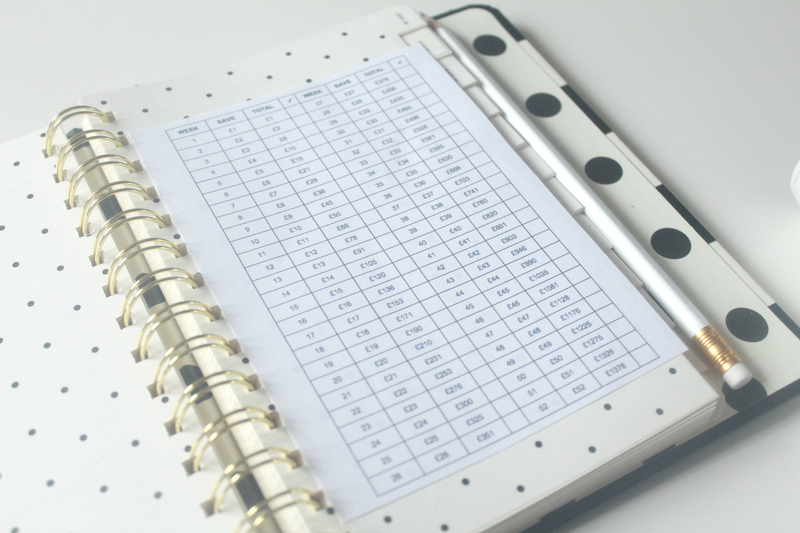 My obsession ran all the way through college where I would buy black and white stationary, notebooks, and folders then I came across the shabby chic trend and fell in love with that, however my love for monochrome has always been there. 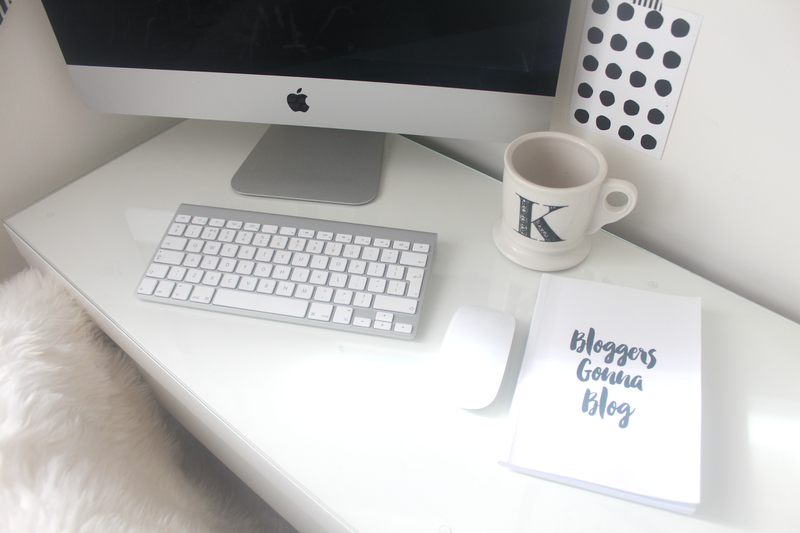 It's only been the past year or so that I've fallen back into the monochrome trend and I think that's partially down to being on Instagram far too long and finding so many beautiful products and stores. 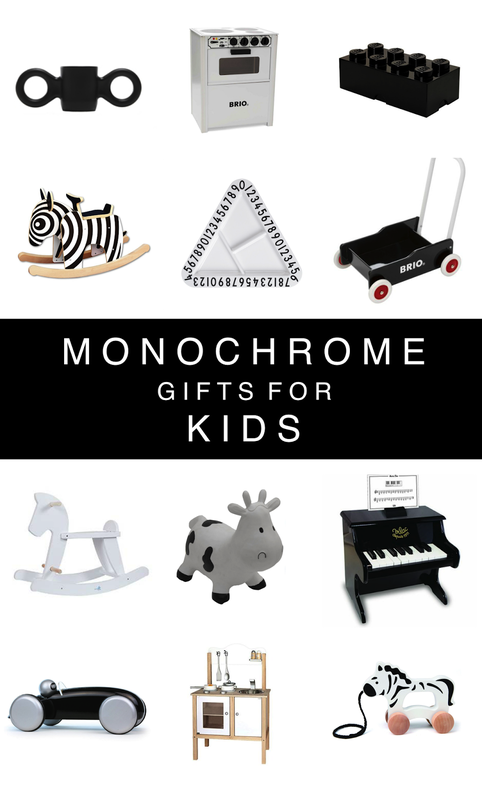 Today I am sharing with you some of my favourite monochrome gifts for babies and young children, some of these we already own and others are on our wish lists for Christmas and birthdays! 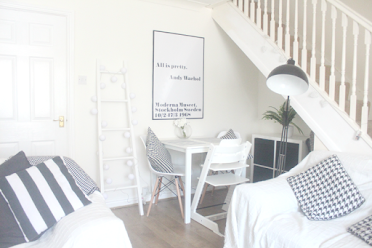 Are you a monochrome addict like myself? 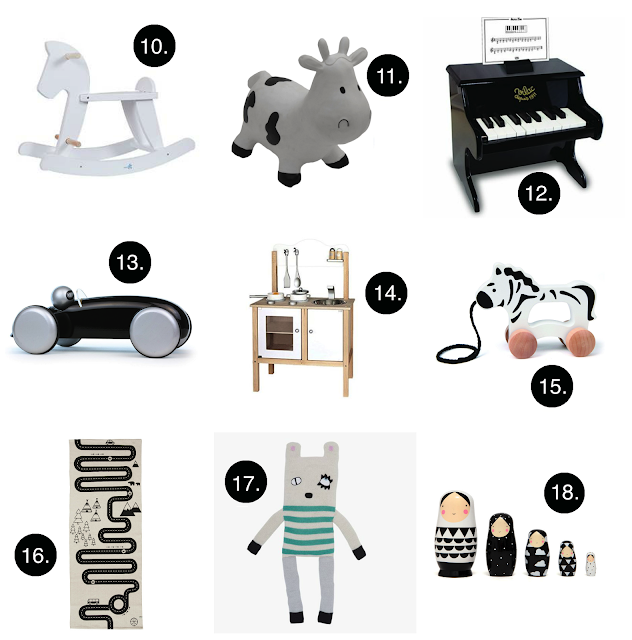 Are any of these toys and gifts on your Christmas lists? L I K E I T ? P I N I T! They are all so cute! I love monochrome too, though my husband thinks its a bit dull, I love the subtle contrasts! You totally sold me on those YAY cups they should be here next week. Love them. Love all your amazing home interiors. You are very stylish lady. Come decorate my house. Wow, there are a great idea for baby gift to Christmas. Thanks for share. I am searching this topics.